Disney Parks has launched a new site that provides in depth previews and information related to the $1 billion dollar expansion currently taking place in their California Adventure park. This new site correlates with its physical entity, providing users the ability to learn and keep up with all the expansion plans, all without having to visit the park in person. 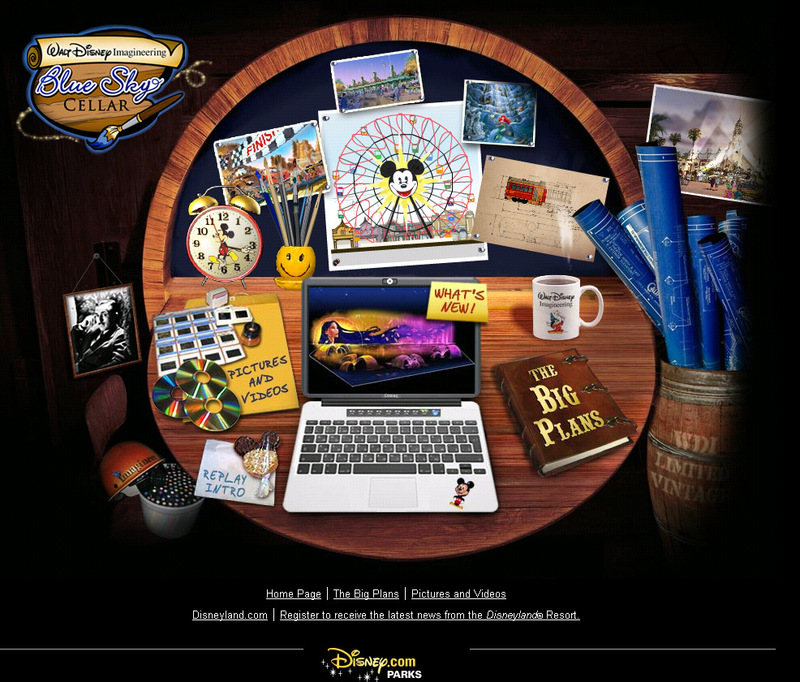 The Blue Sky Cellar site incorporates heavy use of Flash (Disney loves Flash animation) to provide an intuitive user experience. Laid out much like what you might see if you visit the physical location (although condensed), users can click on specific elements which then lead them to information, pictures, concept art, video and so much more. 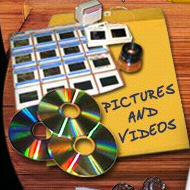 While there are many “click-able” elements on the site’s user interface that will take you directly to the items they represent, this is a breakdown of is a what you will find. This section is displayed in journal-style of format and provides written and pictoral information on all the transformations that are taking place in California Adventure including the additions of new attractions such as The World of Color and Cars Land as well as some of the theming modifications that have taken place on existing attractions. This section contains a combination of concept art and drawings along with video shorts explaining some of the attractions to come. In fact, a few of the video shorts contain Pixar’s John Lasseter talking about some of the new attractions that will coming with the expansion. Especially of interest are the video shorts related to the new Little Mermaid attraction and World of Color show. If you are like me and wish to follow the progress of the California Adventure expansion, you’ll want to bookmark the Blue Sky Cellar site and revisit frequently. We here at Disney-O-Rama will do our best to keep tabs on any changes that take place as Disney Imangineers update the site.